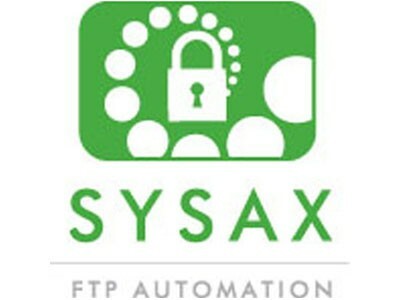 Sysax FTP Automation is a secure file transfer automation and synchronization program with support for FTP, SFTP and FTPS. Both simple and complicated file transfer sequences can be easily automated. It has many useful features such as transfer status monitoring, email notification, file (de)compression, OpenPGP Encryption and Decryption, task scheduling, FTP scripting, public key authentication, client side SSL certificates and detailed log files. Sysax FTP Automation is much more than a direct drop-in replacement for the Windows console ftp program. The program has its own scheduler that runs as a native NT service. An integrated script development and debugging environment provides the ability to step through each line of any file transfer script. The program also has a script generation wizard that generates complete scripts that can be furthur fine tuned and debugged. Many advanced features such as controlled synchronization between local and remote folders, PGP encryption and decryption, and file interity checking using CRC, MD5, and SHA are also supported. Sysax FTP Automation has passed the rigorous testing program for running on Windows Vista and has officially been certified for Windows Vista by Microsoft.